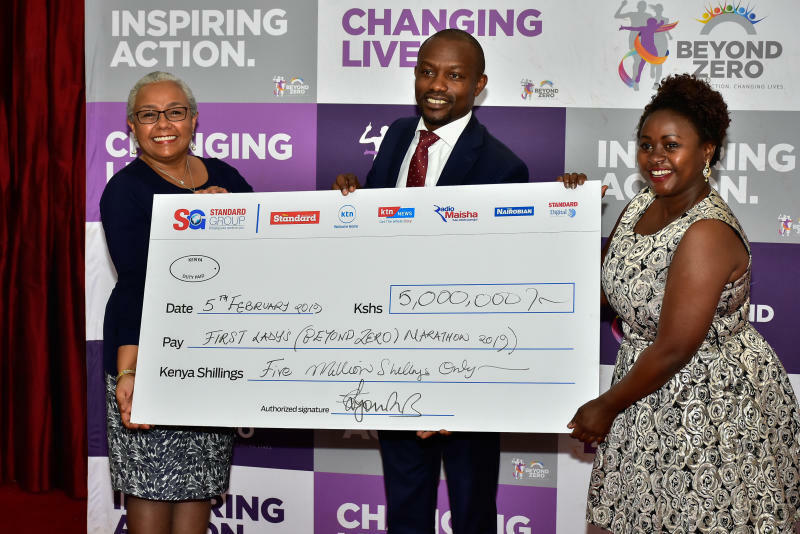 The media fraternity has donated millions into the First Lady Margaret Kenyatta’s Beyond Zero campaign ahead of the marathon set for March 10. The Kenyan media have shown their huge support by donating Ksh. 77 million to the campaign which is aimed at safeguarding the health of mothers and children. 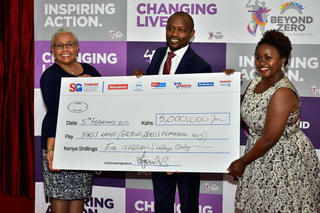 The campaign has been run by First Lady Margaret Kenyatta and it has been a huge success as she said during the reception of the money. ‘Beyond Zero Initiative has had a huge impact in health care delivery to the financially challenged especially in the remote areas of the country’. “The impact on the ground is truly amazing. You can feel it and you can see it,” Mrs Kenyatta affirmed. She further revealed that her current focus is on obstetric fistula, a condition she noted continues to frustrate many women. Other corporate donors include the Commercial Bank of Africa, whose team, led by its CEO Jeremy Nguze, gave Ksh30 million and the Co-operative Bank of Kenya which gave Ksh20 million. With this spirit towards medical care, Kenya can reach the goal of Primary Health Care and UHC at large.